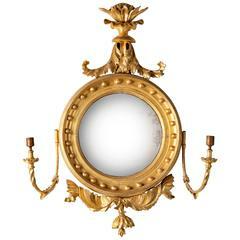 Regency period giltwood convex mirror with girandole candle arms. 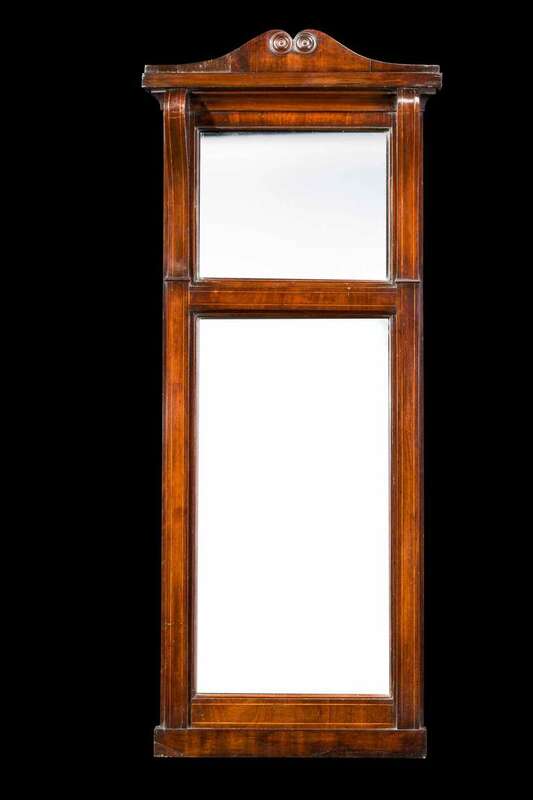 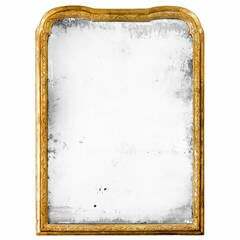 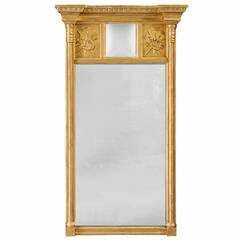 A good Queen Anne period Gesso and giltwood pier mirror, the top edge shaped, the inner edge with continuously carved decoration of very simple design. 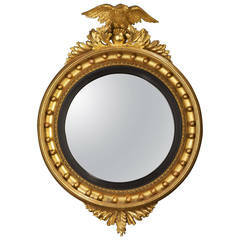 A good Regency period circular convex mirror, the upper section with foliage and a small carved eagle. 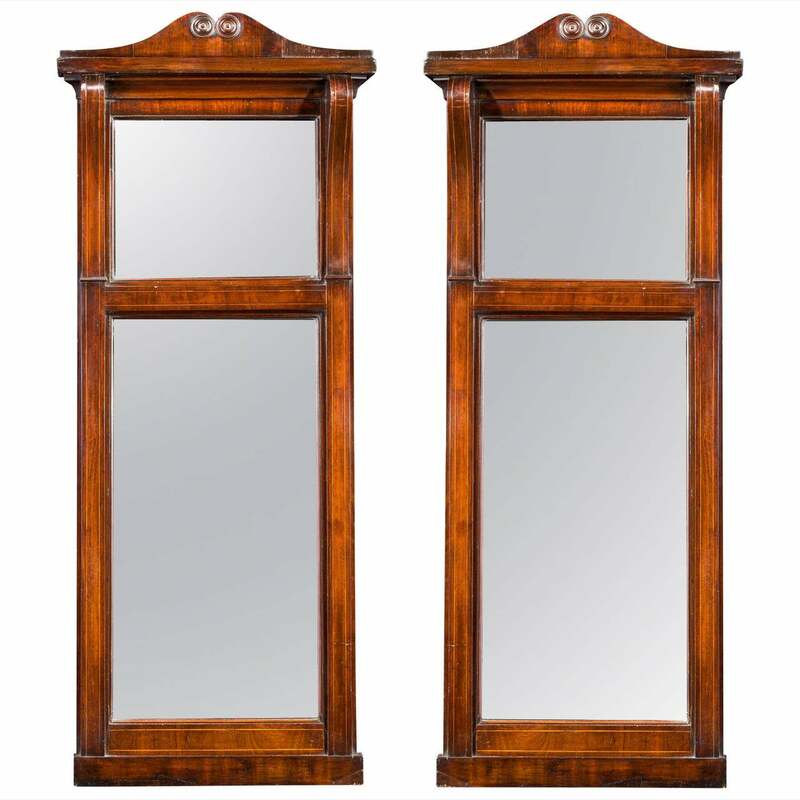 Pair of very decorative of domed top and etched glass distressed antiqued pier mirrors.